Virtually a true mountain bike. The Shimano 7-speed shifting with Revo twist shifter is easy to use, so that the correct gear is quickly found. For when the road turns uphill steeply, the system features a climbing friendly 34t sprocket to help. 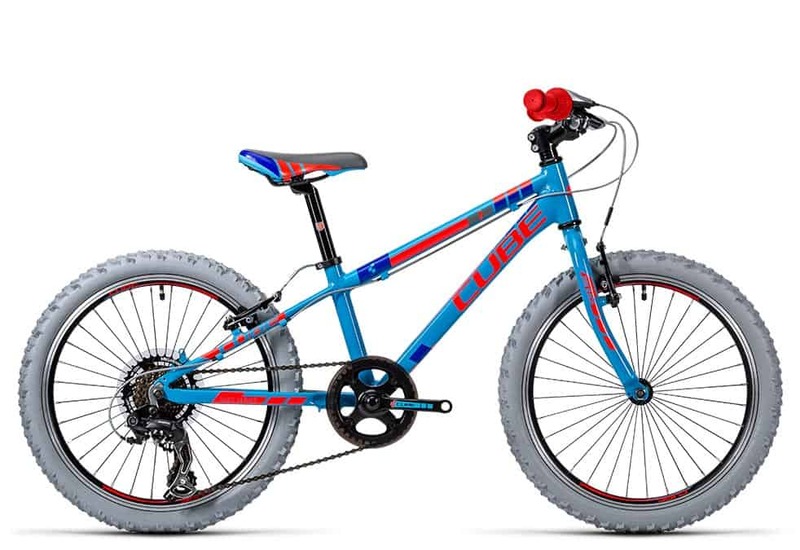 The V-brakes offer ample stopping power for first trail riding adventures and are activated by levers specifically sized for children’s hands. To keep the bike from going into an unwanted nose-wheelie the front brake features a special power modulator unit.